PAS president Abdul Hadi Awang today reminded the ruling Pakatan Harapan government not to cause hardship to the people during the transition of power to a new prime minister. 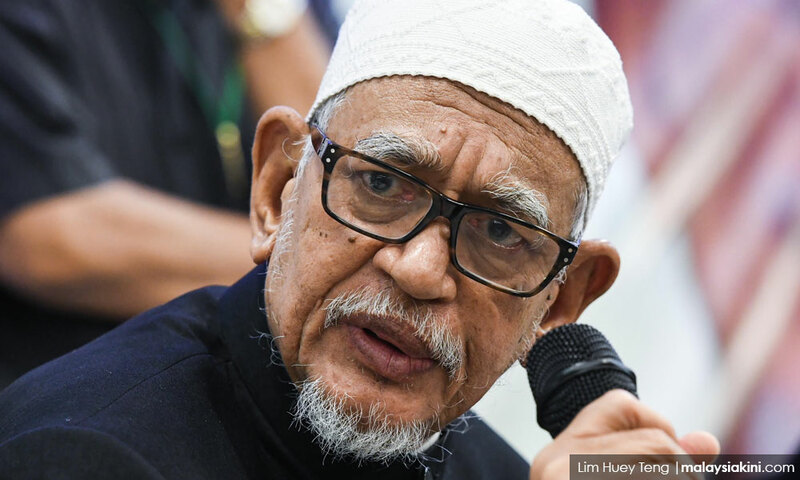 Hadi said the transfer of power from Dr Mahathir Mohamad to Anwar Ibrahim should be implemented according to proper procedures without affecting the well-being of the people. Anwar was released from prison following the consent of the Yang di-Pertuan Agong to grant a pardon to him. The royal pardon was reported to remove restrictions from participating in politics for five years from the date of release, meaning that the former opposition leader could join politics immediately, resulting in many people saying that Anwar could take over the post of prime minister from Mahathir. "We hope for a smooth transition but the important thing is that Islam must dominate as the majority of Malaysians are Muslims. "PAS will defend Islam and will support leaders who defend the religion. PAS will stand firm against any move which may jeopardise the ummah and Islam," he told the media after a thanksgiving gathering with the people of Terengganu at the Sultan Mizan Stadium last night. About 10,000 people attended the rally held to celebrate PAS' victory in regaining Terengganu from BN. Also present were Menteri Besar Dr Ahmad Samsuri Mokhtar, state executive councillors and independent Islamic preacher Azhar Idrus. Hadi also hoped that the federal government would respect the concept of federalism as practiced in the country. "We have accepted the people's choice in choosing Harapan as the government but it is hoped that the concept of federalism will be respected,” he said. Previously through its central and state leadership, PAS had consistently been fighting over the oil royalty issue and the party would continue to demand the 20 percent petroleum royalties to the oil-producing state, as pledged in the GE14 manifesto.